Josephine A. 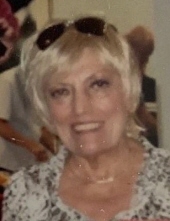 (Orzolek) Cieslak, 76, of The Lutheran Home in Clinton and formerly of Applewood passed away peacefully at the Lutheran Home surrounded by the love of her family on Tuesday, April 9, 2019. She was born on February 18, 1943 in Rome, NY a daughter of the late Joseph and Veronica (Kutas) Orzolek. She was a 1961 graduate of Westmoreland High School. She also attended Utica School of Beauty Culture. In 1963 she was united in marriage to Ronald Cieslak, Mr. Cieslak passed away on January 8, 2018. Josephine was a well-known beautician in the area for many years. She worked at many Hair Salons including the Boston Store in Utica. She later was employed with Price Chopper retiring in 1994. She was a member of Our Lady of the Rosary Catholic Church. Josephine was a loving and caring mother, grandmother and sister who cherished the time that she spent with her family, especially her adored children and grandchildren. She loved to babysit her grandchildren and would often rearrange her work schedule to be sure that she was available to do so. She enjoyed country music and loved to dance. She is remembered by her family as one of the most kindest and generous people on earth who would do anything for anyone in need. She had a magnetic and gregarious personality and was always the life of the party, she truly loved people. She will be sadly missed. She is survived by her children, Barb (Myron) Falinski of West Monroe, NY, Brenda (Joe) Hess of Whitesboro, and Joe (Kari) Cieslak of Sylvan Beach. She leaves her adored grandchildren, Mark, Erika and Aly Falinski, Joey (Deashara), Zach and Hunter Hess, and Brady, Kaylee and Shealynn Cieslak, also a great grandson Joey Hess V. She leaves her longtime companion and best friend Michael Caporale. She also leaves her sister Gladys (James) Satterlee of Rome, NY. She leaves her nieces and nephews, Michelle (Chad) Winfield, Michael (Mary Jo) Satterlee, and Melissa (Chris) Price, her great nieces and nephews, MacKenzie, Madison and Marlee Winfield, Haylie and Michael Satterlee, and Ava and CJ Price. Also many very dear and close friends including, Anna Boris, Judy Christensen and Kathy Thacker. The family wishes to sincerely thank the Staff of the Lutheran Home, especially the Valley Crest Unit for the wonderful care complemented by true compassion that was given to Josephine during her stay there. Funeral services will be held on Monday April 15th, 2019 at 10:00 AM from the Dimbleby Funeral Homes Inc. Forty Main St. in Whitesboro and at 11:00 AM at Our Lady of the Rosary Church in New Hartford where a Mass of Christian Burial will be celebrated. Interment will be in St. Stanislaus and Casimir Cemetery in Whitesboro. Family and friends are invited to call on Sunday April 14, 2019 from 2:00 PM to 5:00 PM at the funeral home. To plant a tree in memory of Josephine A. (Orzolek) Cieslak, please visit our Tribute Store. "Email Address" would like to share the life celebration of Josephine A. (Orzolek) Cieslak. Click on the "link" to go to share a favorite memory or leave a condolence message for the family.